Belkin FlexWear Pink για Apple iPod Nano 6th Gen F8Z793cwC04: Wear your iPod Nano like a watch!!! 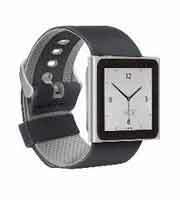 Belkin FlexWear Black για Apple iPod Nano 6th Gen F8Z793cwC01: Wear your iPod Nano like a watch!! !